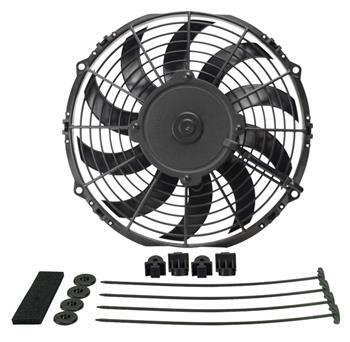 Derale Electric Fan - High Output Extreme UNIVERSAL - SOHi Performance - Your best source for genuine automotive parts! Our high performance H.O. Extreme series of electric fans, use powerful thin, blades to provide a low profile (only 2 1/16” at widest point) for limited space applications. 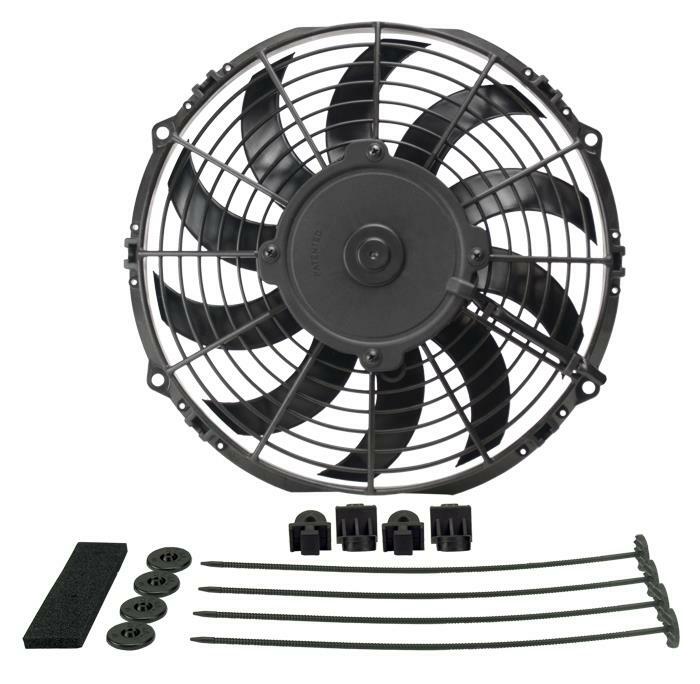 Using a sealed waterproof/dustproof motor that lasts up to 3 times longer than normal electric fan motors, this puller fan is designed to provide maximum performance at high static pressure loads. Mounting kit and installation instructions included. Designed for maximum performance at high static pressure loads for more effective cooling.